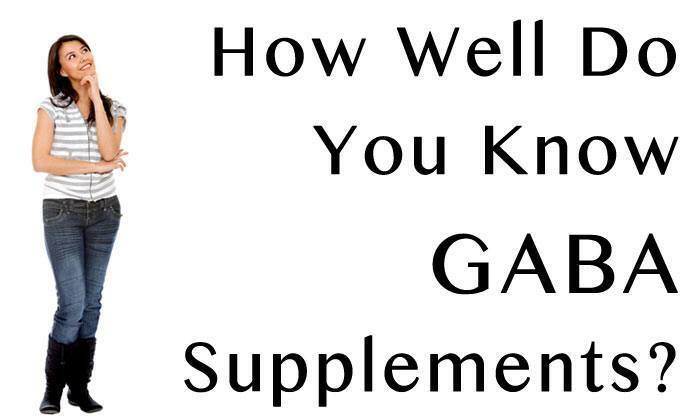 How Well Do You Know GABA Supplements? GABA (Gamma-Amino Butyric acid) is a type of amino acid known to exert a calming influence on the brain. It is a naturally occurring chemical in the brain which reduces anxiety, nervousness and stress. GABA supplements are becoming increasingly popular and are generally marketed as natural tranquilizers though they are also popular among bodybuilders because of their purported ability to increase levels of human growth hormones. Although there is ample research surrounding the role of GABA itself, there is surprisingly little published research regarding the efficacy of GABA supplements. Current opinion however seems to suggest that GABA taken in supplementary form has little or no impact on anxiety and stress because it is unable to cross the blood brain barrier when taken orally. Along with glutamate, GABA is one of the most abundant neurotransmitters within the body’s central nervous system. GABA is actually produced in the brain’s cells from the glutamate where it works to block nerve impulses. While glutamate excites the nerves encouraging adjacent cells to fire, GABA has the opposite effect telling the cells not to fire and preventing nerve impulses from being sent. Without the influence of GABA, nerve cells would fire up too frequently and easily and there are many nervous conditions associated with low levels GABA. These disorders include panic attacks, anxiety disorders, seizures, headaches, addiction and other cognitive impairment. GABA effectively blocks nerve impulses from being transmitted between neurons. GABA helps control and balance the effect of stimulatory chemicals produced by the body such as adrenalin that can lead to anxiety, irritability and insomnia. An analogy that may help understand the process is caffeine which actually inhibits the release of GABA. Anybody that drinks too much strong coffee will know how it feels.. you are basically experiencing the activity of glutamate without the control of GABA. Tranquilizers like Benzodiazepines or barbiturates imitate GABA by hindering nerve transmission. Despite having several possible uses, GABA supplements are primarily marketed to those looking to ease the crippling symptoms of anxiety and to improve their general feeling of calm. 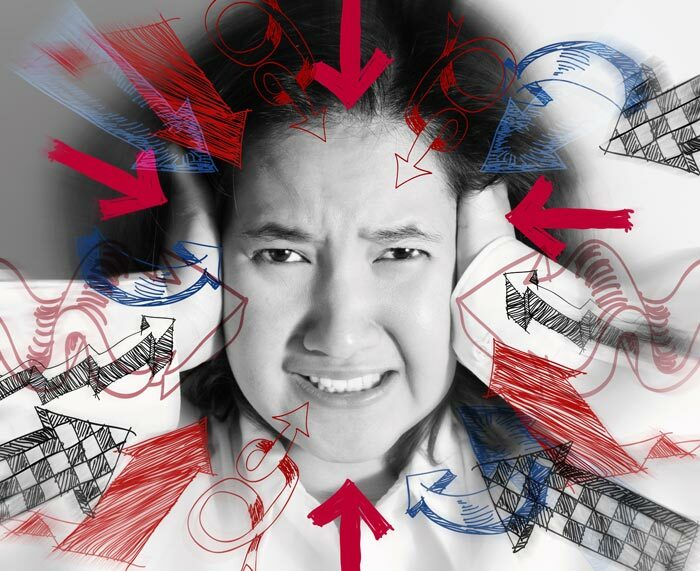 Anxiety disorders and panic attacks are believed to be caused by the brain getting too worked up and overly excited. What seems to be happening is that far too many neurons are firing off impulses concurrently. GABA helps to calm down an overly excited brain by regulating the frequency that the neurons fire and transmit their messages. When GABA gets to work, you will feel less anxious and far more rested and calm. GABA also helps you relax in stressful situations and can even lower any inhibitions that you might have. Anybody that has felt the need for a stiff drink in awkward social situations will know about this effect as alcohol effectively stimulates the brain’s GABA receptors. This has an initially positive effect on calm and wellbeing but nobody would recommend that you use alcohol as a long term solution. There is also a certain amount of evidence that GABA stimulates the release of other chemicals that help us to kill pain while it also helps the nerves effectively and efficiently communicate with the neurons. This improves our cognitive efficiency and aids with attention and concentration. Are GABA supplements effective for Anxiety? Given that GABA is such an important chemical for controlling our mood and for easing anxiety, then logically you would assume that GABA supplements would be very effective. Unfortunately however, the current medical belief is that they are not. The reason that experts and researchers suggest they don’t work as expected is because the supplements are prevented from reaching the brain by the blood brain barrier. The barrier is a brain system which prevents blood circulating in your body from reaching the brain tissue. Any nutrients that you eat must cross the brain barrier in order to get to the brain and it seems that only certain compounds are able to get across. When GABA supplements are taken in the form of powders or capsules, the GABA is absorbed directly into the bloodstream via the intestines before circulating to the brain, but research suggests that the GABA will not make it through the blood brain barrier. The GABA that we have in our brains is produced when other chemicals like glutamate are converted into GABA. GABA supplements taken orally do not appear to have a significant impact on the GABA levels and according to experts will not have the desired effect. Nevertheless, I have read numerous anecdotal reports of reduced anxiety symptoms after taking GABA. Whether or not this is just a placebo effect is still up for debate and more research will hopefully be forthcoming. What we know for certain is that increased GABA levels in the brain do have a real impact on anxiety and researchers have been trying to discover the best methods and best natural supplements to achieve this result. One possibility is a compound known as L-Theanine that you can get in supplementary form but is also found in green tea. Another option is Phenibut which is a GABA derivative that can actually make its way over the blood brain barrier. Another recommended alternative is Picamilon which does not transform into GABA until after it has crossed the blood brain barrier. There are other reasons why people may want to take GABA supplements other than their calming effect. GABA supplements are becoming increasingly popular among the body building community for their ability to burn fat naturally. The advantage that GABA has over many other fat burning products is that it isn’t a stimulant. Rather, it works by stimulating hormone production which helps build leaner muscles. When you develop leaner muscle mass, your body becomes thermogenic and boosts the metabolism by increasing your calorific needs. It is not only body builders who can benefit from this mechanism; those of us that would like to shed a couple of pounds and become a little firmer can also take advantage. The recommended daily dose of GABA is somewhere between three and five grams a day which can either be taken at once or divided into equal amounts through the day. If you are using GABA supplements for fat burning or just for weight loss purposes , experts recommend taking it a few hours before you go to bed. Do not take GABA with at the same time as you consume a source of protein because it might interfere with your digestion. There are currently no interactions known between GABA and any medication. However, there are certain side effects which could occur. I have included these side effects for the sake of completeness but given that experts suggest that GABA does not get over the blood brain barrier, they appear contradictory. GABA supplements may make you feel overly relaxed and have an impact on your concentration levels. If this is the case, there are certain activities like driving that may be dangerous. Taking GABA supplements might induce changes in your heart rate or alterations in breathing patterns in the short term. These changes should not last long and ought to disappear soon.